Most of my pottery can be purchased directly from local Art & Craft Fairs and Galleries around Southeastern Wisconsin. Below are lists of current Fairs & Galleries where you can find my work. 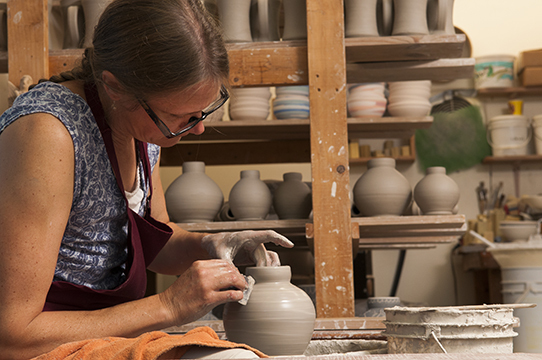 You can also shop online at Jean's Clay Studio on Etsy. 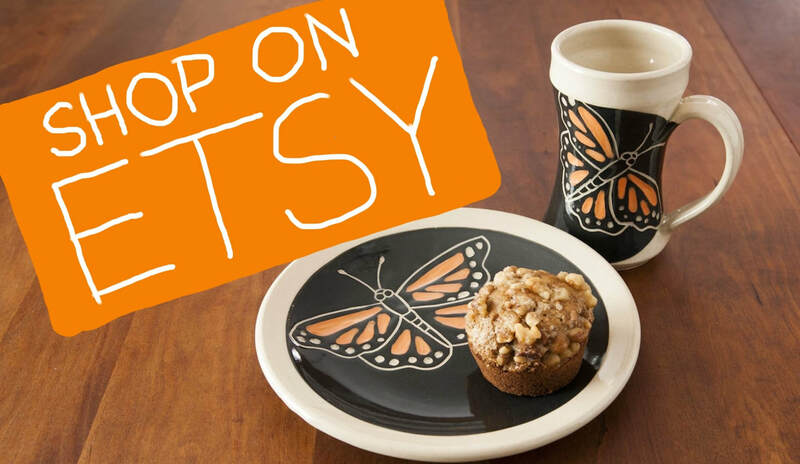 Local Customers can use the Coupon Code: LOCALPICKUP when they check out on Etsy to eliminate shipping costs and come and pick up their items at my home studio in Brown Deer, WI. In Celebration of Colectivo's 25th Anniversary, I just finished 800 new limited edition mugs for 2018. This year's design will not feature the classic mustachioed skull, but will be a coffee tree branch with coffee cherries in Black, Red and Colectivo Blue. The new mugs should be available for direct sales only in all of the Colectivo Coffee Cafes in Milwaukee, Madison and Chicago areas November 2018. Here is my video of the making of the "Coffee Cherry mugs"
I have recently created new designs that reflect the Downtown Milwaukee Skyline off of Lake Michigan and Downtown Madison off Lake Monona. These designs are being offered on plates and vases of various sizes. I am currently developing a Chicago Skyline design at the moment. Some pieces are currently available in my online Etsy Shop. Short little video of a larger vase I just finished carving with the Madison Skyline. April 14 - MKE Local Market - 414 Day! local food banks and meal programs! 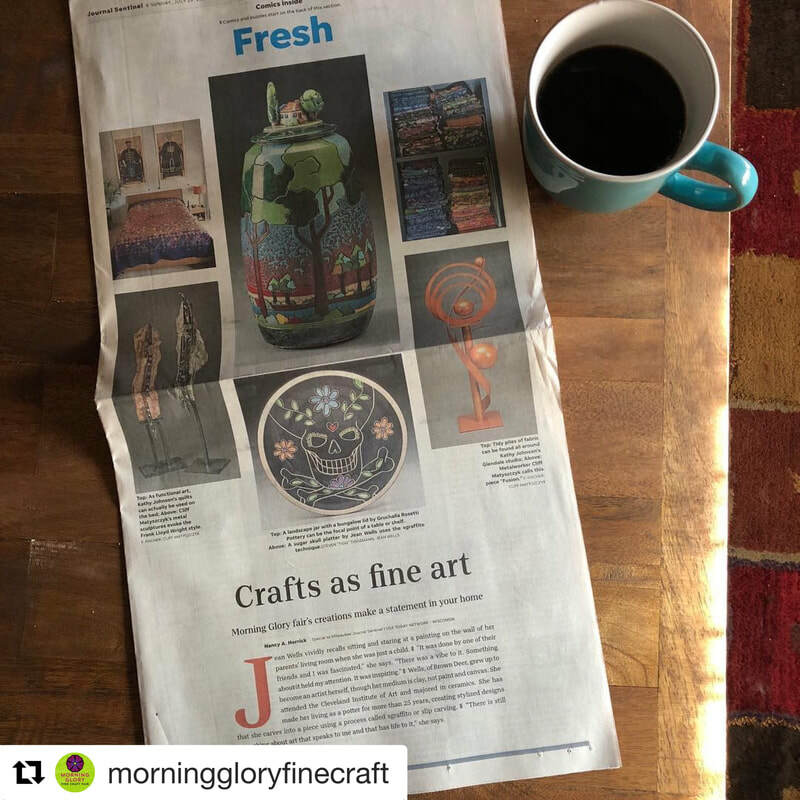 On Sunday, July 29, in the Milwaukee Journal Sentinel, several members of WDCC who are participating in Morning Glory, were featured in a extensive article on the front page of the Fresh section. Jean's Clay Studio is one of those artists. Click HERE for a link to the entire article. Below is a link to a recent interview on Lake Effect with Bonnie North about the Wisconsin Designer Crafts Council of which I have been a longtime member. The 2017 Limited Edition run of sugar skull mugs made for Colectivo Coffee Roasters are sold out. Here is a video of the mugs being made. Below is a 4 minute video I created of the making of the exclusive pieces for the US Open Championship in June of 2017. On Sunday, August 13, 2017, CBS 58 did an hour long show on local artists and arts organizations. 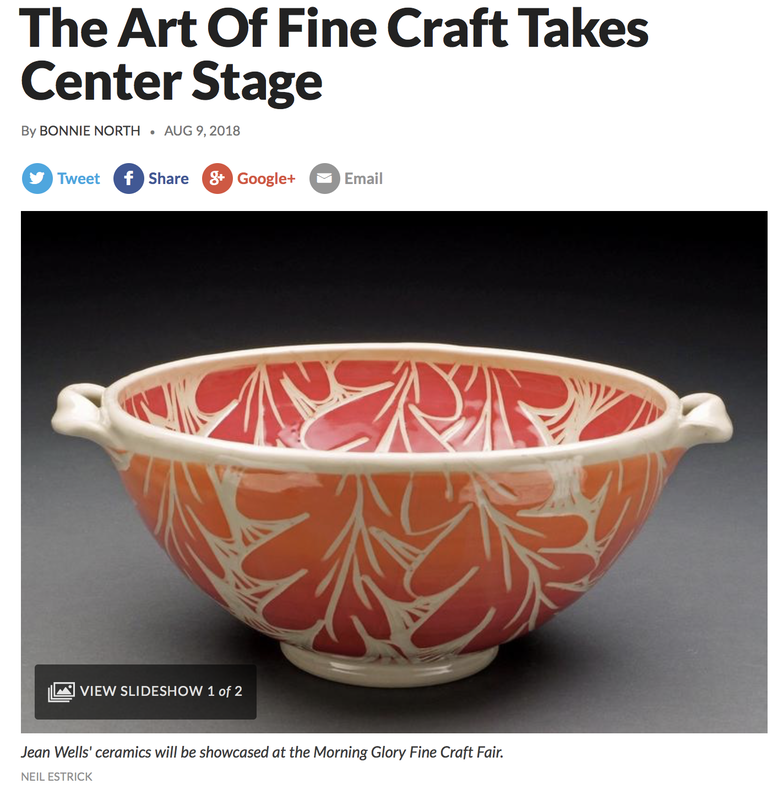 I was a featured artist along with Bob Dickey, president of our Wisconsin Designer Crafts Council - WDCC. Here is our segment. 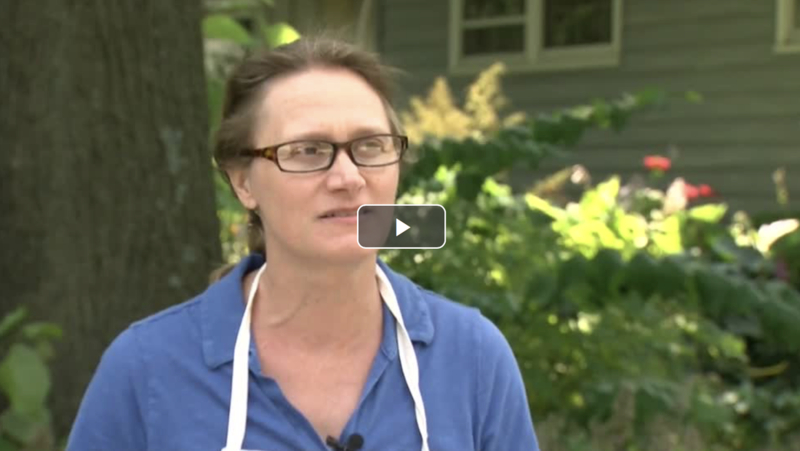 Wisconsin Designer Crafts Council (WDCC) celebrated its 100 year anniversary in 2016. To celebrate, they featured profiles of their current members. My personal profile was published on the site just recently. Click Here to read it.